The 328E was shaped by customers like you. They wanted more foot room, so we designed a flat floor with 25-percent more of it. They asked for easy hydraulic attachment, so we added connect-under-pressure auxiliary couplers. They liked our engine side shields but thought they could install more securely. We agreed and improved the design. They asked for automotive-style courtesy lighting, so now lights can be preset to stay on for up to a 90-second interval before shutting down after the operator exits the machine. We haven’t even touched on any of the options yet, such as available electrohydraulic (EH) controls you can switch to ISO, H-pattern, or foot pedal controls for operation with the push of a button. 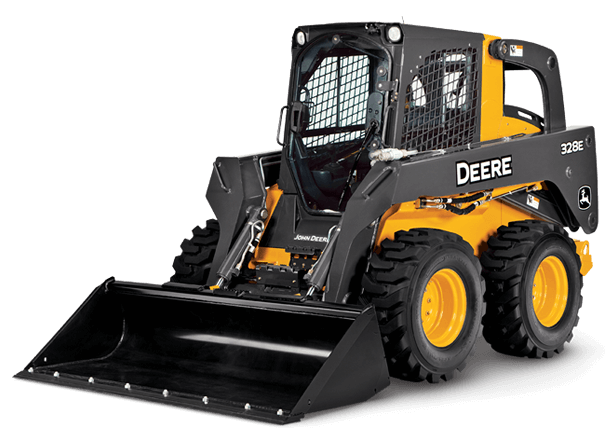 Plus, the 328E features more power while maintaining our patented vertical-lift boom for exceptional lift height and reach. And its EPA Interim Tier 4 engine features automatic cleaning without impacting machine operation in most conditions.